My name is Matt. They say the world is coming to an end. I don’t believe it. Not the whole world. Just mine. When I left for college last month, I thought I’d finally escaped the monsters of my hometown. But what I found at school was so much worse. There are demons here. Fallen angels, vampires... I’m not sure which. All I know is people are dying. And I have to stop it..
supernatural gift, to investigate horrifying paranormal events that seem to focus on Matt. Together they combat an ancient evil that lurks beneath the college and lies in wait to use Matt to bring about its unholy resurrection. Cody Dagger is an underemployed writer who shares his home with two rambunctious cats. He grew up watching horror movies and reading horror novels before turning his hand to the genre. 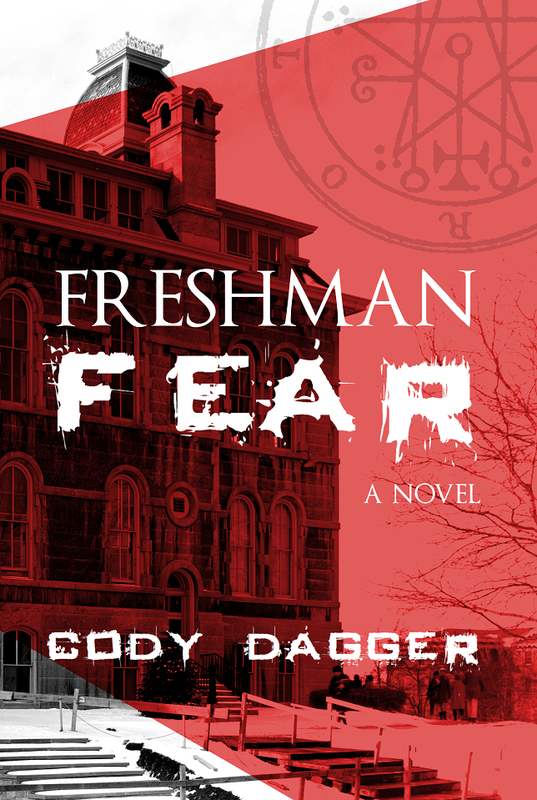 Freshman Fear is his first novel, and Cody hopes it will prove popular enough to keep his cats in their favorite gourmet cat food. You can reach Cody at codydagger@gmail.com.